Thinking of a Career in Social Work? 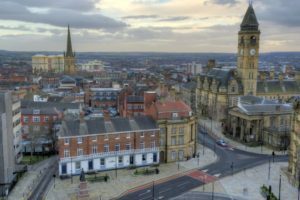 The vision of the Leeds and Wakefield Social Work Teaching Partnership is to improve outcomes for our children, young people, adults and older people, carers and their families in the Leeds and Wakefield areas. We are striving to become a nationally renowned centre of excellence for social work education at both qualifying and post-qualifying levels. We aim to do this by being innovative, creative and responsive to the changing needs of the social work profession and by building on the reputation, scale and expertise of local authorities and universities. 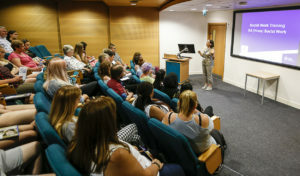 Providing information and support to local colleges, schools and students to promote social work as a career of choice. Accepting the highest calibre students onto courses by embedding and evaluating our newly developed rigorous admissions process. Working together to provide an enhanced, flexible and responsive employer focused curriculum to meet the changing needs of the sector. Embedding partnership standards for Practice Education to ensure and maintain high quality. Offering quality statutory placements in both adults and children’s services, supported by experienced and qualified practice educators. Further developing the workforce through an excellent, flexible, practice responsive CPD programme from their Assessed and Supported Year in Employment (ASYE) through to leadership and management. We work collaboratively and in partnership to ensure that social work students are provided with the skills and readiness needed for a rewarding, successful and long term career in social work; and that our social workers are developed and challenged in their career. If you’re considering a career in social work, are a qualified Social Worker within the partnership, or interested in a career with us check out the information in the rest of this website on how our partnership can support you at every stage of your career. 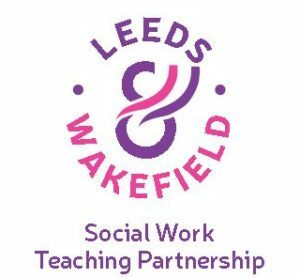 Sign-up to hear about the latest Leeds and Wakefield Social Work Teaching Partnership news.